The third smallest state in the United States, Connecticut has a total surface area of 5,018 square miles. It is bordered by New York to its west, Massachusetts to its north, Rhode Island to its east and Long Island Sound to its south. Various landforms in Connecticut include mountains, a large river valley, a coastal plain and islands. All of the hills and mountains in Connecticut are part of the larger Appalachian chain, which stretches across the entire eastern portion of North America, from Alabama to Newfoundland. Connecticut gradually rises from south to north, and the highest peaks are found in the northwestern portion of the state in the Berkshire and Taconic Mountains. The Berkshires, though mainly in Massachusetts, stretch into northern Connecticut. The narrow Taconic Range, located in extreme western Connecticut, reaches from New York through Massachusetts and into Vermont. Connecticut’s highest point is the 2,380-foot Mt. Frissell near the Massachusetts border. The longest river in New England, the 407-mile Connecticut River and its surrounding valley bisect the state. The Connecticut River flows from north to south, entering the state from Massachusetts near Sherwood Manor, flowing through Hartford and then dumping its contents into the Long Island Sound near Fenwick. The plains surrounding the river, known as the Central Lowlands, are sometimes called the Connecticut Valley Lowland. This valley is about 30 miles wide on average. 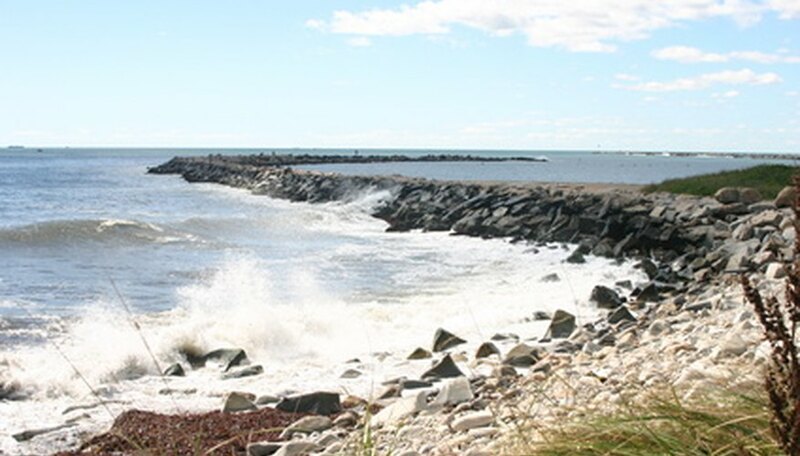 Running for 100 miles from west to east, the Coastal Lowlands comprise the entire southern portion of Connecticut along the Long Island Sound. These lowlands are characterized by rocky peninsulas, sand and gravel beaches, shallow bays and salt meadows. The harbors of New London, New Haven and Greenwich are located in the Coastal Lowlands. Over 300 tiny islands dot the bays and estuaries along Long Island Sound. The Norwalk Islands and Thimble Islands are the only sizeable archipelagos. The Norwalk Islands lie one to two miles offshore near the coastal city of Norwalk. Not quite as far from land, the Thimble Islands hug the coastline near Stony Creek. Harris, Amy. "Landforms of Connecticut." Sciencing, https://sciencing.com/landforms-connecticut-7859728.html. 25 April 2017.